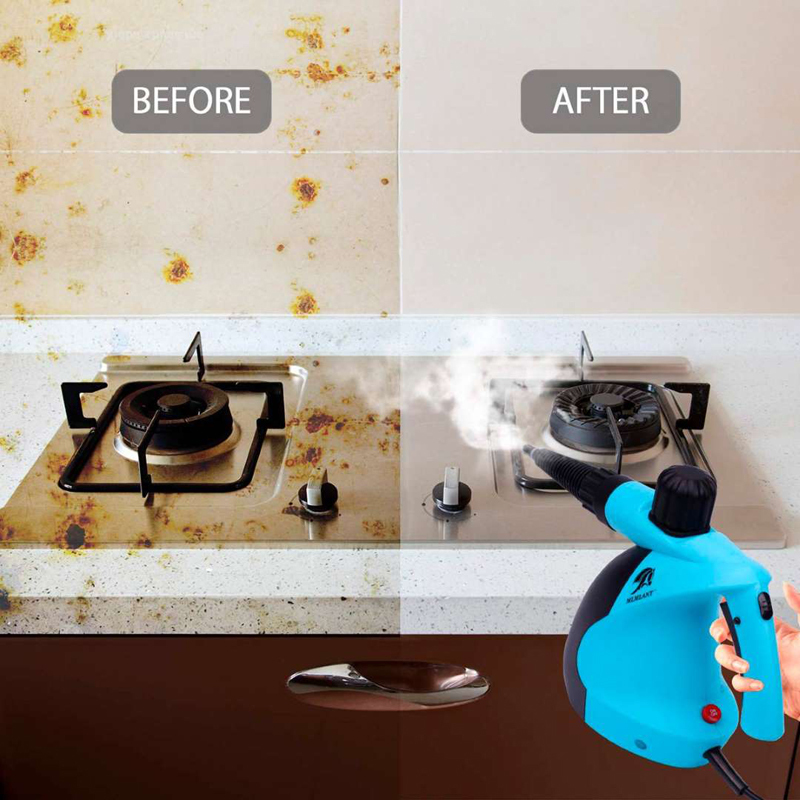 Clean up those stuck-on food spills on the stove top with a steam cleaner. Start by removing the metal grates and clean away any food debris you can with a damp sponge or rag. Next, use the steam cleaner with a nozzle attachment (you may also need to use a brush attachment) to get off any gunk left behind. The, wipe down any moisture with a clean cloth or paper towel. Use your steam cleaner's brush attachment and detail nozzle to clean and disinfect your countertops. Wipe up any messes first, then, using the brush attachment, move your steam cleaner nozzle over the countertop. Attach the detail nozzle to clean those hard-to-reach corners, grout lines and seams. Then just use a clean cloth to dry off the countertops. A steam cleaner isn't just for carpeted flooring. The steam is great for cleaning the bathroom floor, especially in those hard-to-reach corners behind the toilet. 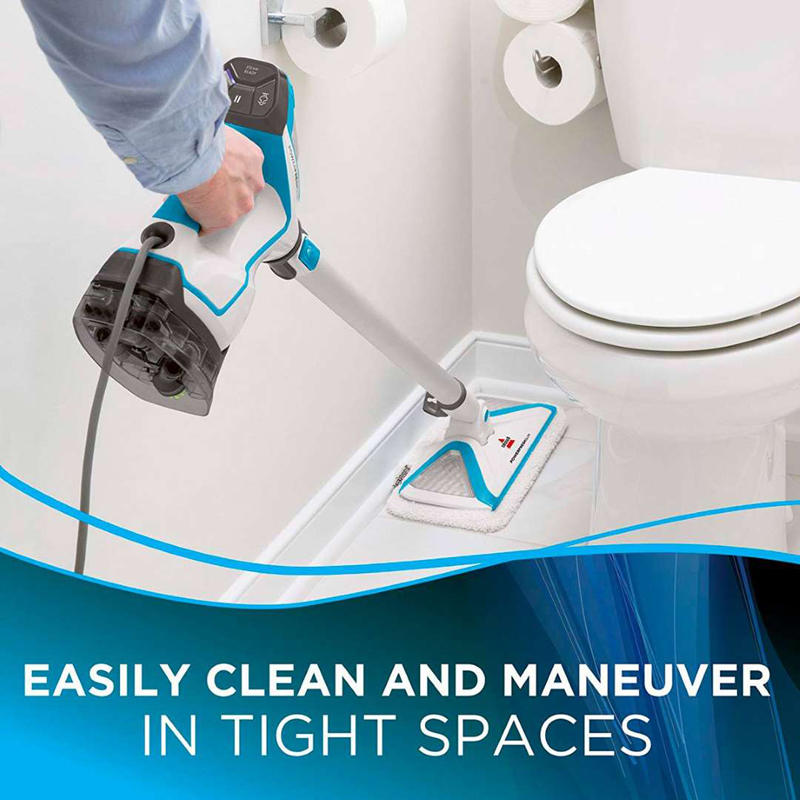 Just use the cleaner's brush attachment to make your bathroom tile or vinyl flooring shine. 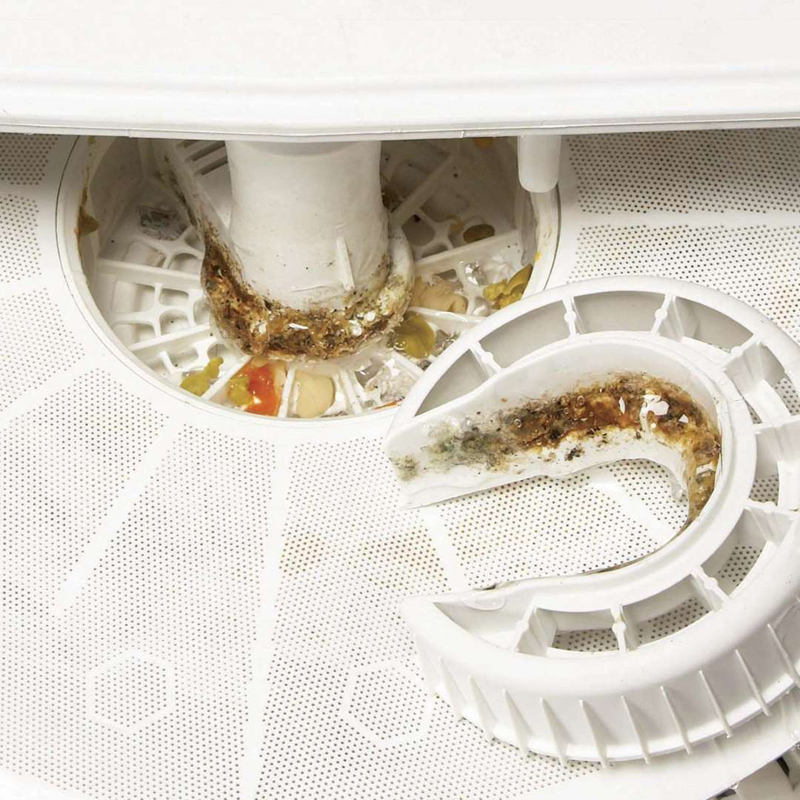 You need to clean your dishwasher periodically to keep it running smoothly. Heat up some tap water in your steam cleaner and use it with a nozzle attachment to clean all that stuck-on crud in the hinges and corners. Once you're done blasting away the gunk, wipe it out excess water with a rag or some paper towels. 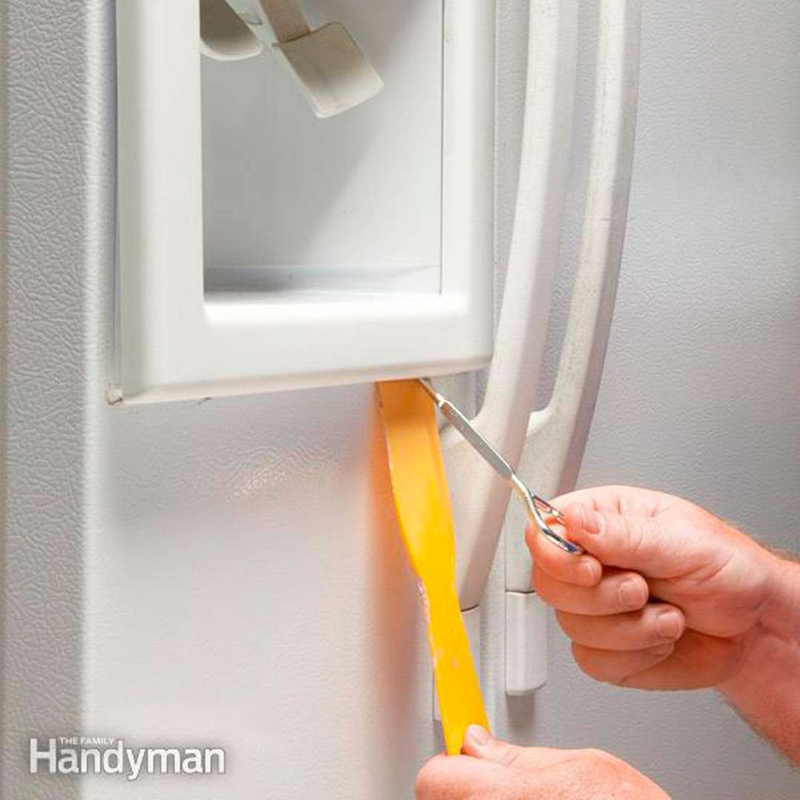 You probably don't want to know what is hidden in your refrigerator's ice and water dispenser. 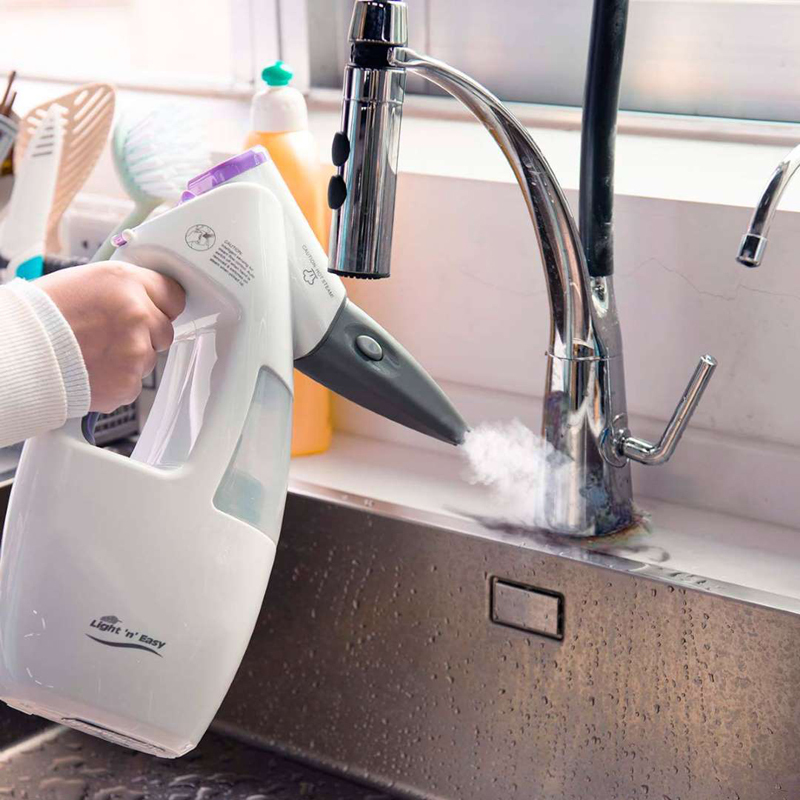 Use your steam cleaner with a slim attachment and focus on all those little nooks and crannies. You'll likely be surprised (and horrified) by what comes out. When you're done, use a paper towel to dry everything off. Sinks and faucets are one of the dirtiest and germiest places in your entire house. Remove all that grime in and around your kitchen and bathroom faucets by steaming that area and scrubbing it down with the brush attachment. You don't need harsh chemicals to clean your oven. 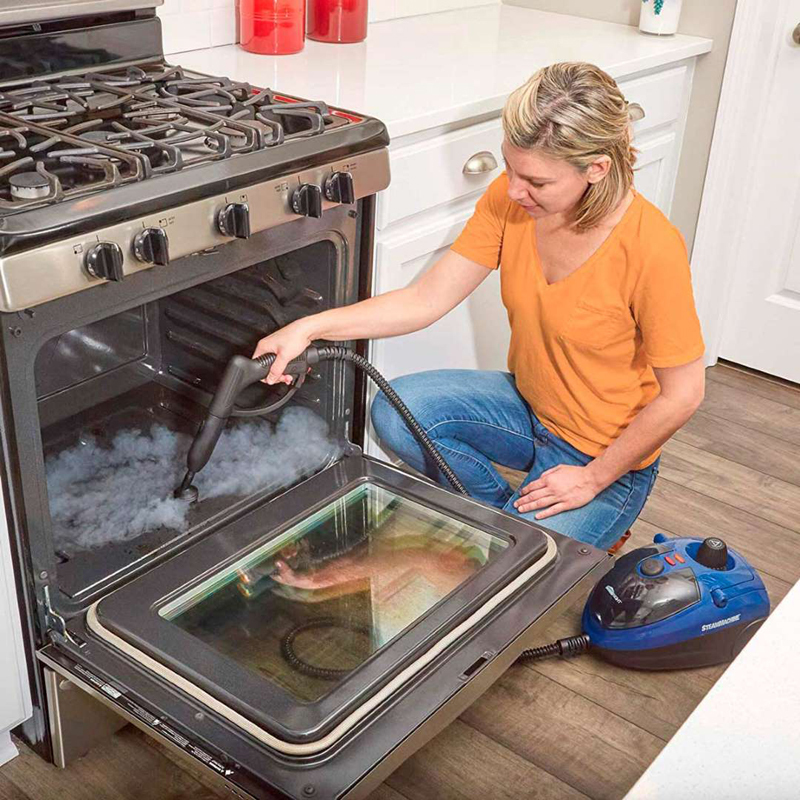 Just grab your steam cleaner and a stiff brush attachment to remove all that caked-on gunk from inside your oven. When you're done, wipe up the excess water. 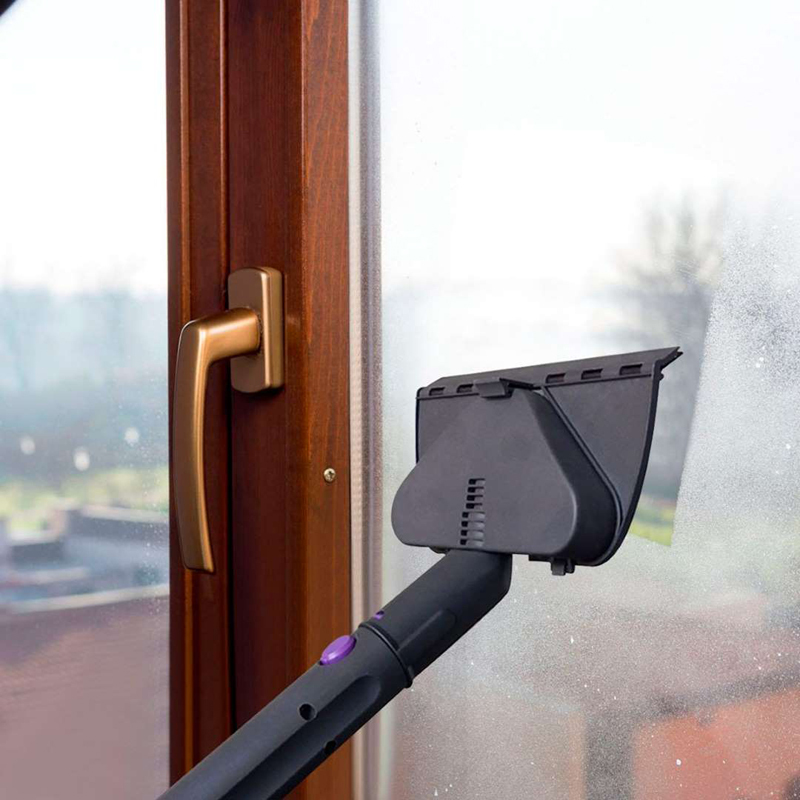 A steam cleaner's squeegee attachment is a great tool for cleaning shower walls, glass doors and windows. Just let the water in the cleaner heat up and go to work. 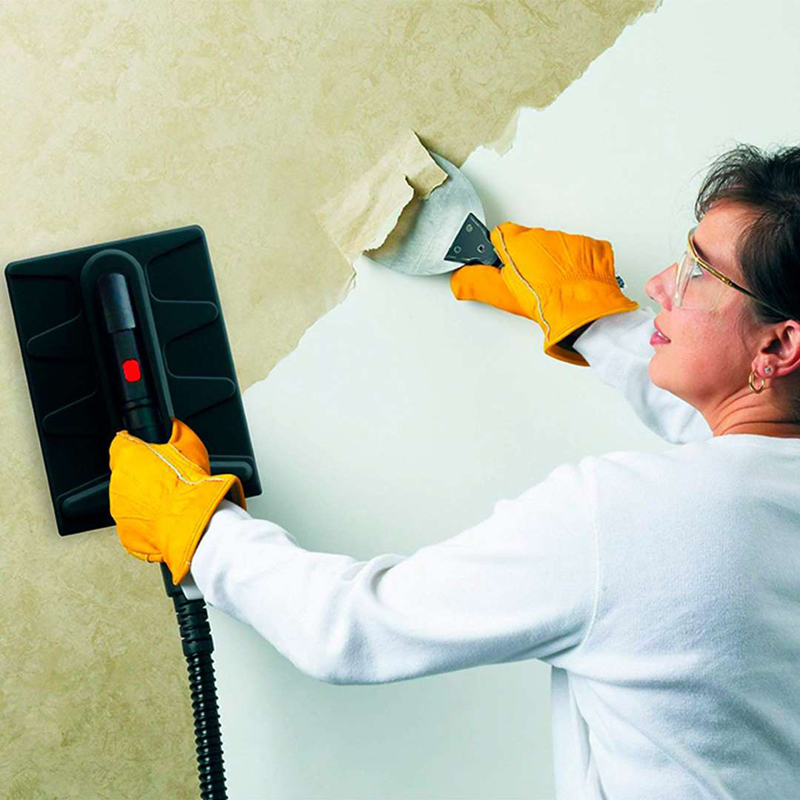 If you're in the process of removing wallpaper, use your steam cleaner to help you remove all those little paper fragments and any adhesive residue left behind. 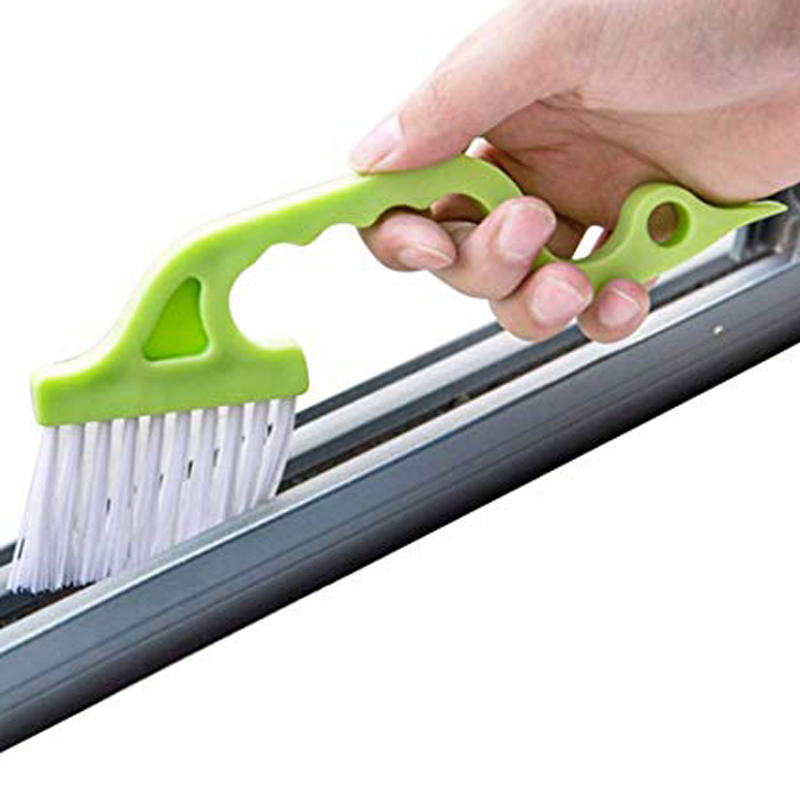 Just place the cleaner's plate attachment against the wall for about 30 seconds and when you remove it, you'll be able to scrape away that gunk with ease. 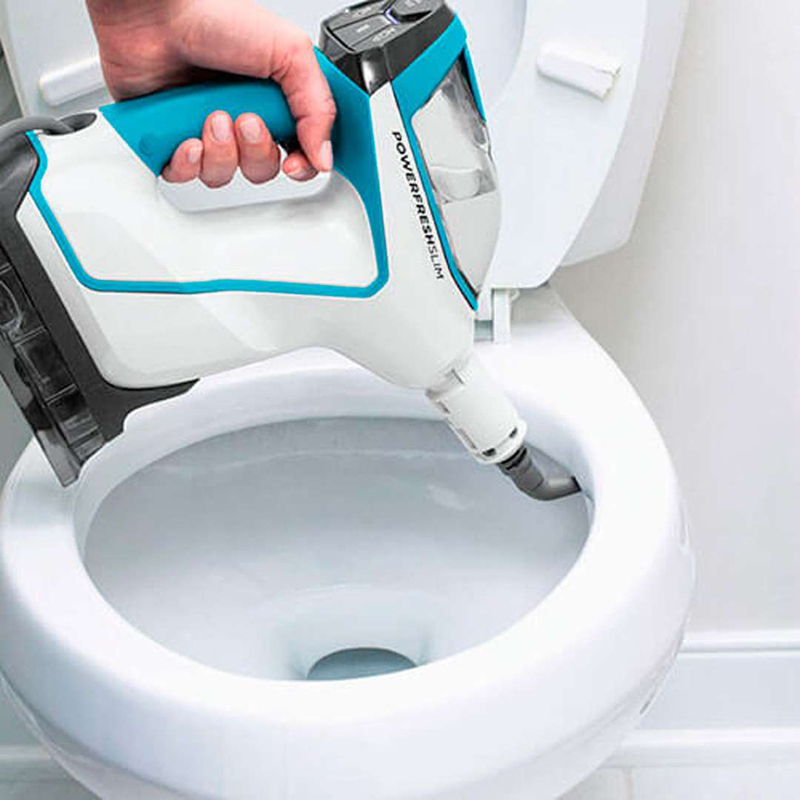 The jet attachment of your steam cleaner can come in handy when cleaning around the toilet. Use it to clean around the base of the toilet, then lift the toilet seat and clean in all those nooks and crannies. The tracks in sliding doors can get full of dirt and grime, causing the door to stick. Try using your steam cleaner with a nozzle attachment to loosen and lift away all that built-up gunk. Then wipe down the track with paper towels, being sure to get those tracks completely cleaned out. Cotton swabs can also come in handy when removing any leftover grime. 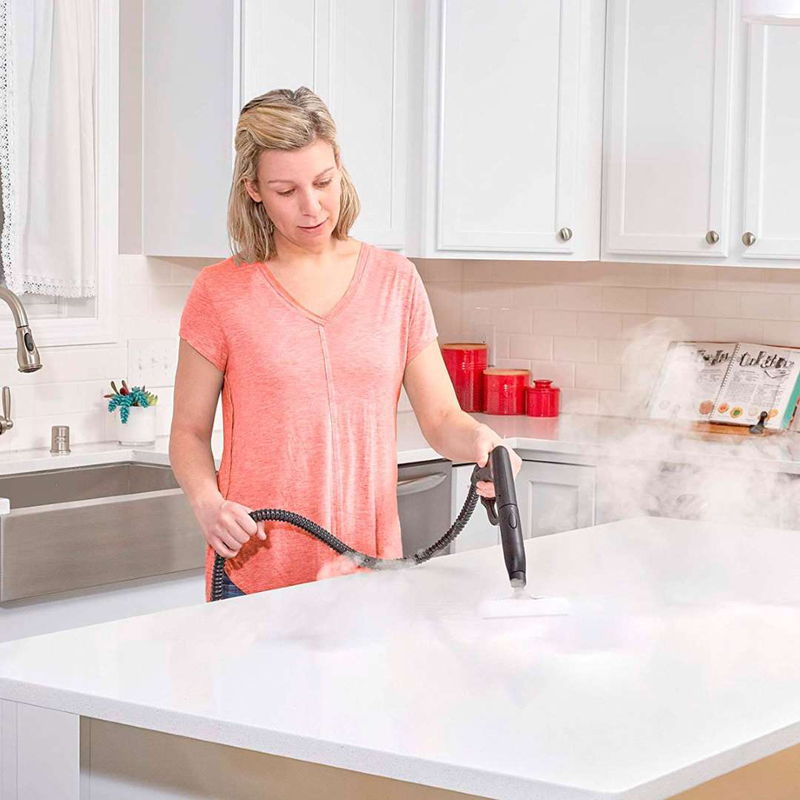 This spring cleaning checklist will help you deep clean your home in no time.Buy this steam cleaner now on Amazon.Every product is independently selected by our editors. If you buy something through our links, we may earn an affiliate commission.